Ok shave ice, where have you been all my life?! I shouldn’t necessarily say all my life. There was this amazing ‘lil shave ice stand in the Texas Hill Country that my family would frequent during the summertime when I was a kid. But man, I forgot how good that stuff is! I’m not talking about the typical sno-cone you find at your local amusement park or state fair. Those are icy, hard, and way too syrupy. True Hawaiian shave ice is another beast entirely, and I found some of my fave at Wishing Well Shave Ice in Kauai. The ice is shaved so finely thin (go figure! ), it’s like the fluffiest snow you’ve ever tasted. No hard crunches to the teeth here! Plus, the typical flavors are made from local, seasonal fruits like coconut, mango & papaya, so they aren’t too crazy sweet. Your shave ice bowl gets topped with fresh fruit for a nice, refreshing finish! Many of Wishing Well’s offerings are even organic as well- pretty awesome if you ask me! Now, if you know what’s good for you, you’ll take advantage of the optional ice cream scoop that gets put at the base of the bowl. Oh my glory, it’s the perfect, creamy complement to the fruity shave ice. But go for the macadamia nut ice cream (a local favorite!) over classic vanilla, and thank me later :) Enjoy! 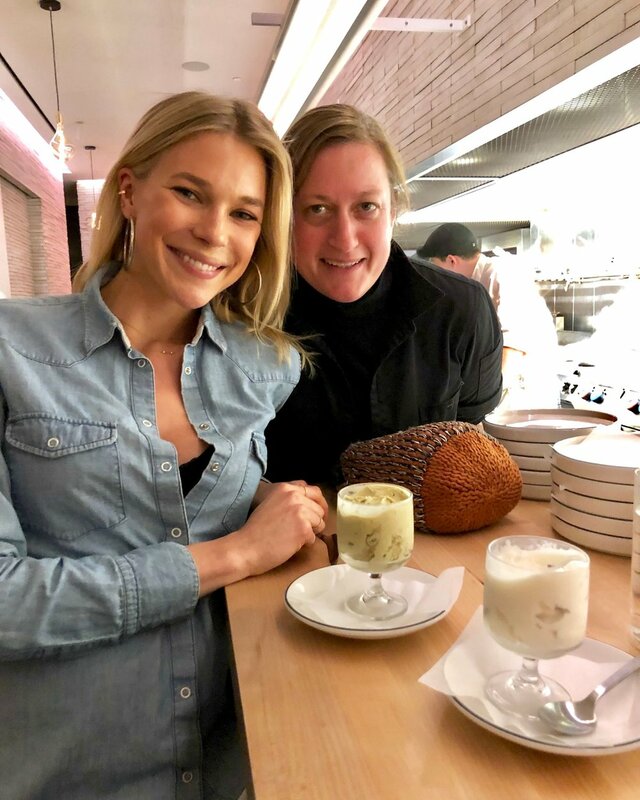 One of my most memorable dining experiences of 2018 was at Bavel in Downtown Los Angeles. That may have been partly because it was a celebratory dinner (our wedding anniversary!) with my husband, but in all honesty the food and atmosphere stole the show. 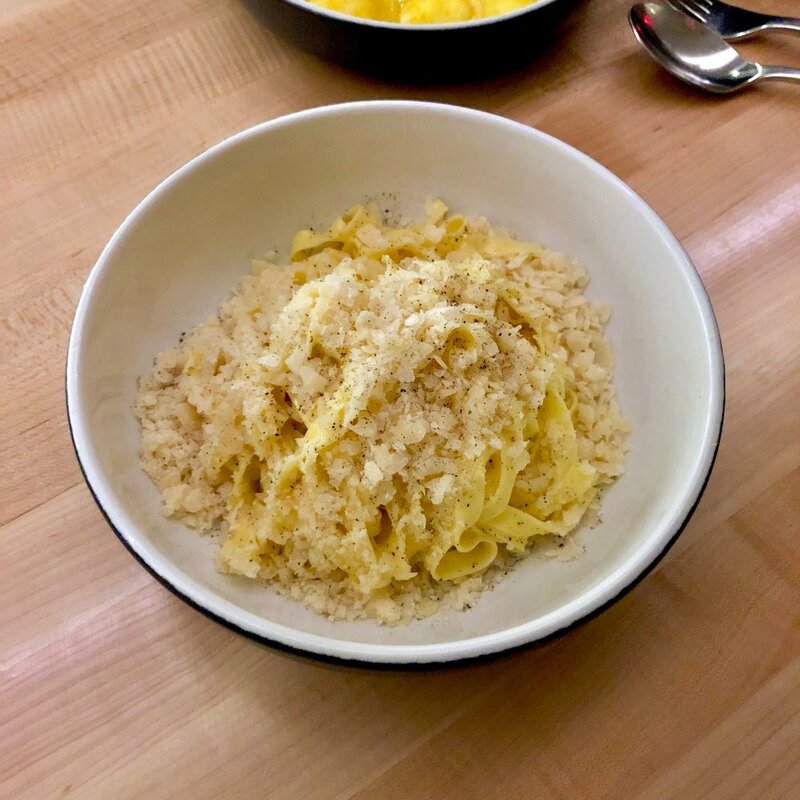 Offering a similar chic, downtown vibe to their previous hit, Bestia, chefs Ori Menashe and Genevieve Gergis truly blew us away with this Middle Eastern gem. Both chefs have family roots in Israel, Morocco, Turkey, and Egypt, which is evidently clear in their dedication to creating inspired, yet traditional, flavors. I absolutely loved the mix of fresh ingredients and slow cooking techniques, as well as the variety of flatbreads and spreads, veggie-focused small plates, and larger format meat and fish dishes. Carbs with dips are always a highlight for me, and the delicately fried pita served with smoky babaganoush was divine. I’d heard from multiple people that we just HAD to order the slow roasted lamb neck shawarma, and being the dutiful diners we are, that is just what we did. Just wow. The lamb was fork tender and literally melted in your mouth, and I couldn’t stop creating the perfect bite with a bit of lamb, tahini, and pickled veggies all wrapped up in the chewy laffa. By the way, the sommelier was super helpful in guiding us toward a full bodied, yet well-balanced biodynamic wine to pair with dinner. I loved the giant jug it was decanted in too! 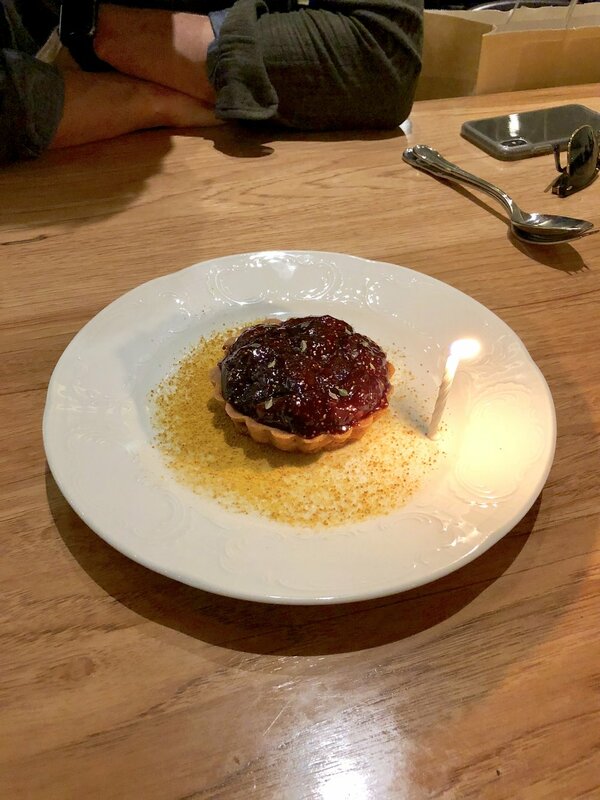 Never one to skip dessert, even after being extremely full, we went for the roasted fig tart. The baharat spiced semolina crust was super unique and nicely complemented by the brown butter cream. What a sweet treat and perfect ending to a truly memorable meal. Both my husband and I are plotting a return trip soon! My husband and I just got back from a lovely little Hawaiian getaway. We visited the island of Kauai, and it was magical in so many ways. From the hikes to the beaches to the food, we were blown away and really had the best time. 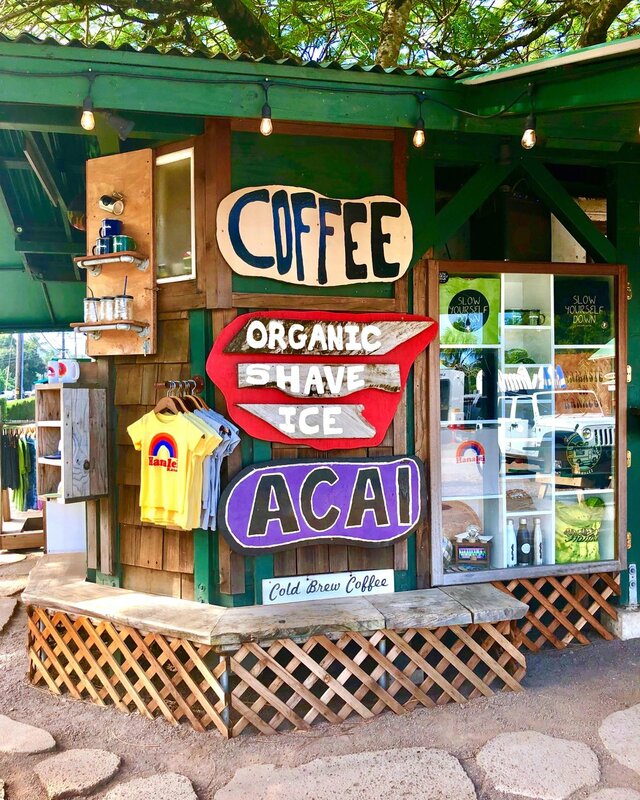 Following very true to form, I had researched several sweet spots before our trip, and discovered a plethora of ice cream, shave ice, and açaí bowl options. Sounds like heaven to me! One place that looked super legit was Lappert’s Hawaii Ice Cream & Coffee. I noted multiple locations on the island, and quickly planned our visit. Upon arrival to the shop, the delicious smell of freshly made waffle cones drifted over us, and we knew we made a good choice. Lappert’s makes a bunch of unique flavors using local ingredients and mix-ins, like Kauai Pie (Kona coffee ice cream, Hawaiian macadamia nuts, shredded toasted coconut & dark chocolate fudge) and Caramel Coconut Macadamia Nut (bourbon vanilla ice cream, toasted coconut, Hawaiian macadamia nuts & caramel swirl). Wow, just reading that again makes my mouth drool. How good does that sound? Several flavors tempted us, and tried our fair share, but I went with the two mentioned above, and they did not disappoint. Yum! Lappert’s opens early in the morning, as they also serve fresh, daily-roasted local coffee, so feel free to stop in for your java fix as well! However, I wouldn’t judge you if you decided on ice cream for breakfast, instead! Those flavors are hard to deny! Here’s to hoping Lappert’s opens a shop in Cali soon! If you haven’t gotten to explore the tasty cuisine (and wine, duh) of Napa and Sonoma Valleys, I highly recommend planning a trip. On a recent summer trip to wine country with my family, let’s just say we ate very well. One of the highlights was the super cute Barndiva, housed in none other than a classic barn setting with a beautiful patio out back. 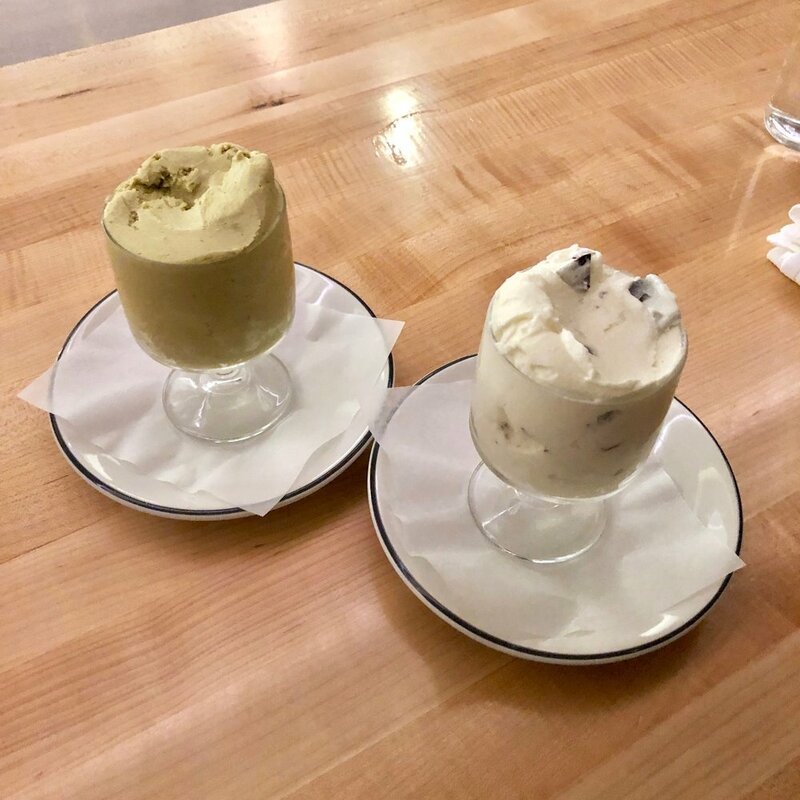 This farm to fork restaurant serves modern country cuisine, and everything is extremely fresh and seasonal thanks to their use of the plentiful local produce around. Because of the size of our group, we had a pre-fixe menu, but the options were still delish. I opted for the colorful beet salad to start, which was served with fresh goat cheese, petite lettuces, carrot, radish, raspberry, and lemon vinaigrette. Just look at that plating- it’s practically a work of art! For my entrée, I chose the Alaskan Halibut. The fish was cooked perfectly and was accompanied by sun dried tomato fregola sarda, fava beans, sugar snap peas, gaufrette, and a stinging nettle pistou. Talk about flavors of the season! This truly makes me miss summer and all its bounty. Don’t skip the creative cocktails, or stop by The Somm’s Table for an evening with local winemakers. Maybe even go for a stroll through the garden if you have time- trust me, wherever you end up at Barndiva, you won’t be disappointed! ragu bolognese “vecchia scuola” & parmigiano reggiano 48 mo. Pasta, pasta, pasta! I had been told by many a pasta-finatic that if you’re on the hunt for delicious Italian food in Los Angeles, you head straight to Felix Trattoria. Being that it’s in Venice, it’s not the quickest dinner venture for us (not to mention reservations are hard to come by), but when I was planning a recent date night with friends, I made Felix a top priority. 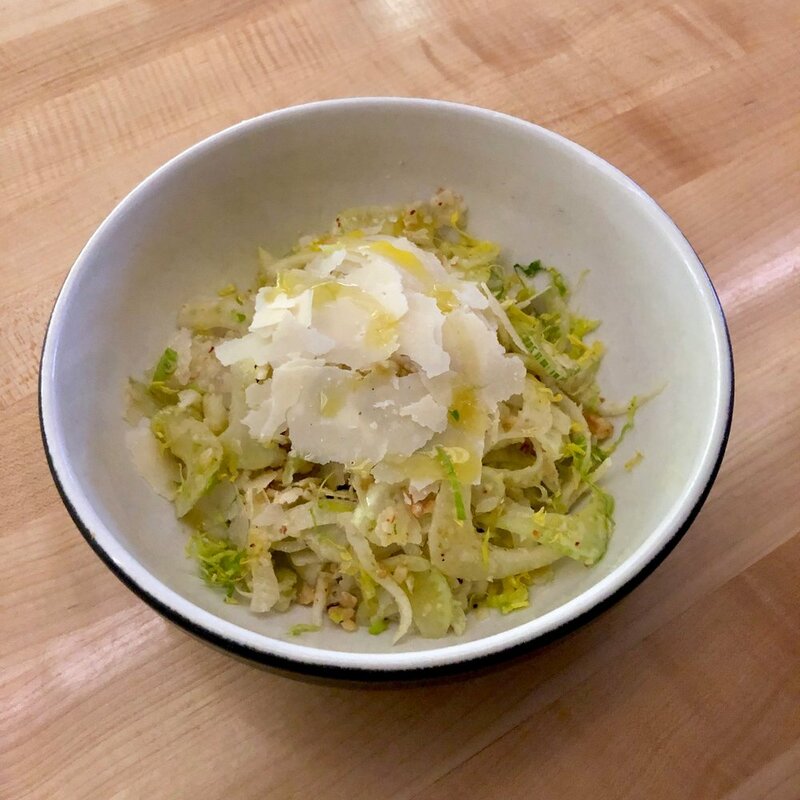 Chef Evan Funke’s take on traditional, regional Italian cuisine enriched with local Cali ingredients is nothing short of spectacular. Pasta and bread are the true standouts, and you can even watch them get made right before your eyes! The pizza bianca (with melt-in-your-mouth buffalo mozzarella) and the classic focaccia sfincione are not to be missed. You really can’t go wrong with anything from the handmade pasta menu, which offers various regional specialties from all around Italy. I love an orecchiette, and this one served with sausage, broccoli, peperoncino, and canestrato was delectable down to the last bite! 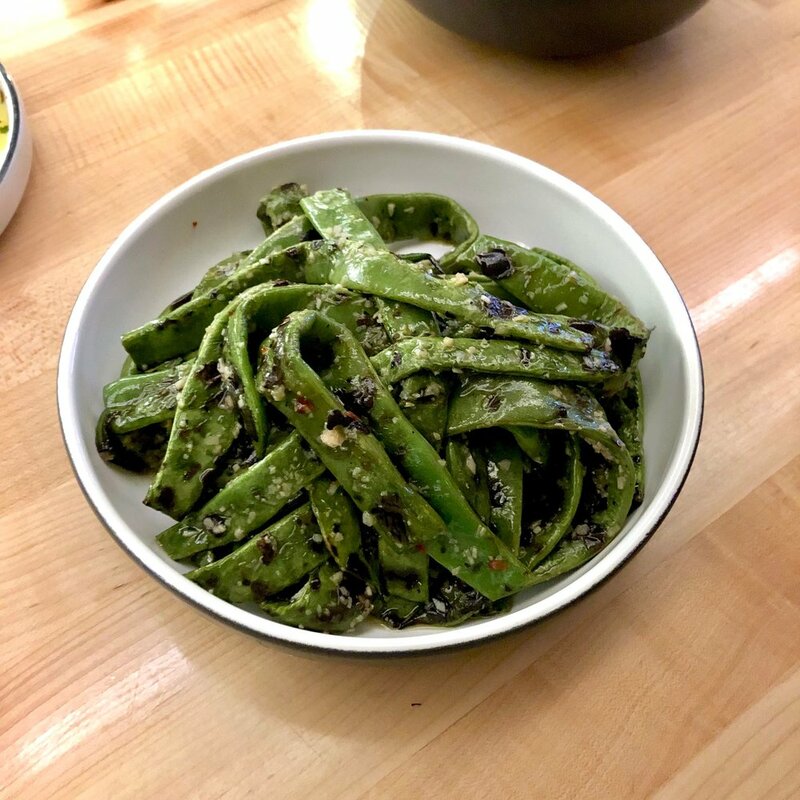 Even the veggies at Felix were memorable: I loved the mint and pesto Siciliano coating the green beans in the fagiolini verdi dish! Also impressive were the branded ice cubes in my negroni- how fancy! Even though we were pretty stuffed by this point, you know I don’t skip dessert. The torta della nonna (a perfectly moist olive oil cake) really hit the spot, and allowed us to finish our meal on a not-too-sweet, but totally satisfied note. Scroll through the slideshow to check out the rest of our meal, and trust me when I say- get there soon! Felix (Latin for “happy” or “lucky”) easily gets my vote for best Italian in LA, and I already cannot wait to return in the new year!